Filettro is situated in the open countryside, on a low hill surrounded by olive groves and Mediterranean woodland, off the road that leads from Volterra to Pisa, down a winding lane flanked by cypress trees. The farm house offers five apartments traditionally renovated and furnished in classic Tuscan rural style decor. Nestled within 20 hectares of land, the farmhouse is sheltered by a variety of oak trees and acacia trees surrounded by olive groves and a landscape of gently rolling hills.In the summer months the aromatic broom adorn the meadows with a yellow hue. The farmhouse offers a conveniently located swimming pool on the grounds where once the farm animals roamed,a play area with a swing, a gravel bowling court, volley ball and a table tennis. One of the most beautiful areas of the Volterran countryside ,a haven of peace and tranquillity, a perfect place to unwind and enjoy the idyllic countryside setting , breathtaking views and blazing sunsets. Filettro welcomes you to come and stay in a country retreat in the heart of Tuscany, one of the most well known regions of Italy, endowed with natural beauty,enchanting landscapes, art, culture and gastronomic delights! Book on line right now! 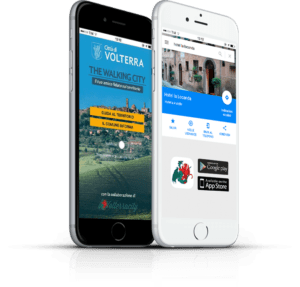 The tax is applicable to non-residents and payable per person per night up to a maximum of three consecutive nights staying in accommodation within the territory of Volterra. Tax (2 € per person). No smoking inside the farmhouse. Respect for the other guests! The owners live at Filettro. Two Jack Russels live on the farm. Two cats live on the farm.